If you have a large window space consider using some graphics to make it more appealing. 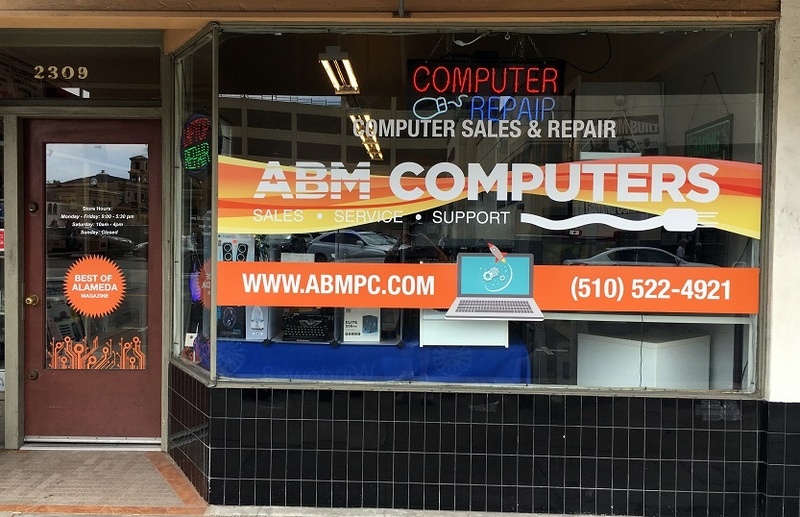 SpeedPro East Bay is the right place to get the job done. 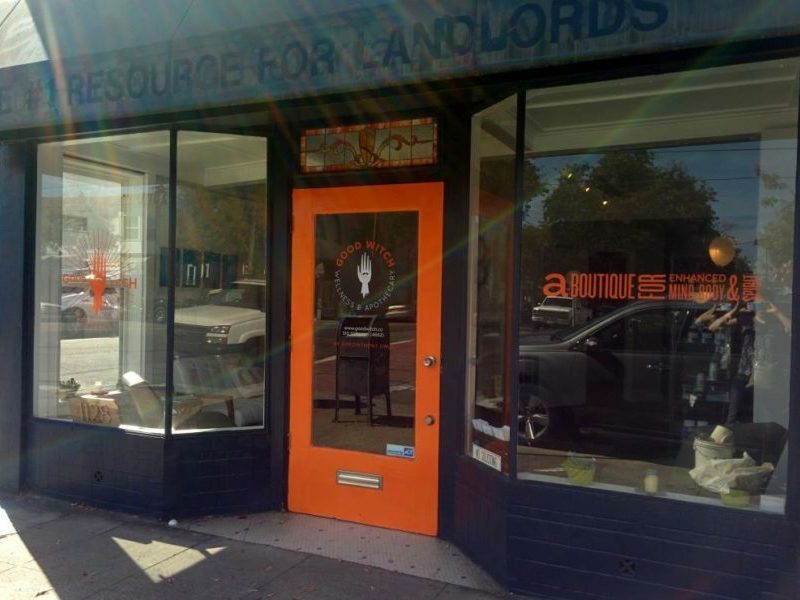 Windows are usually the first thing a person sees before entering a business so make sure your entryway is welcoming. 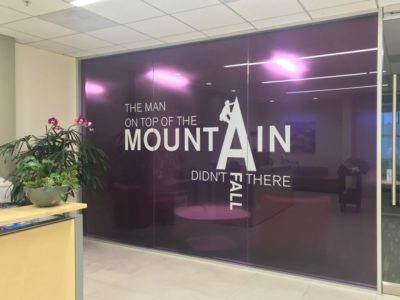 You can achieve this with great, big, window graphics. We have a variety of different window options that can help to achieve the look you’re going for. 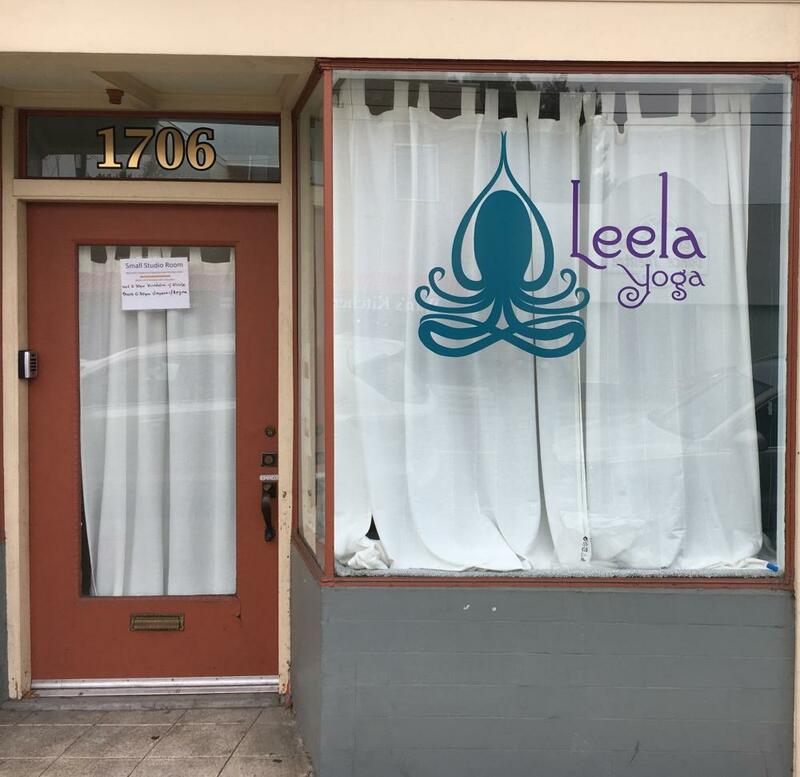 Our window graphic options are numerous and we welcome and encourage any custom project. We love trying new things and we’re up for the challenge. There are some more standard options, however. 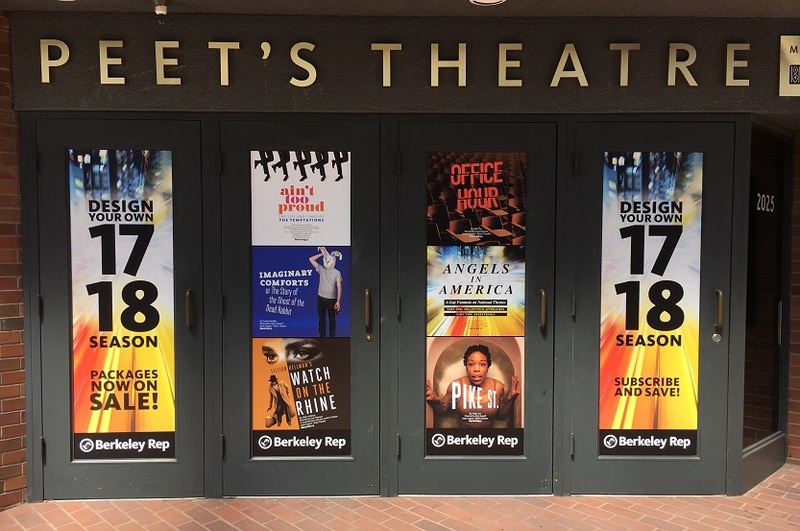 Window clings are great if you want to start small and aren’t ready to commit to a long-term graphic. We can print directly on the clear material or if you would like to prevent any light from seeping through, we can laminate the back with white. Whatever your needs are, we would be happy to discuss the different solutions we provide. Window clings are going to be your more affordable option. Next, is window vinyl. 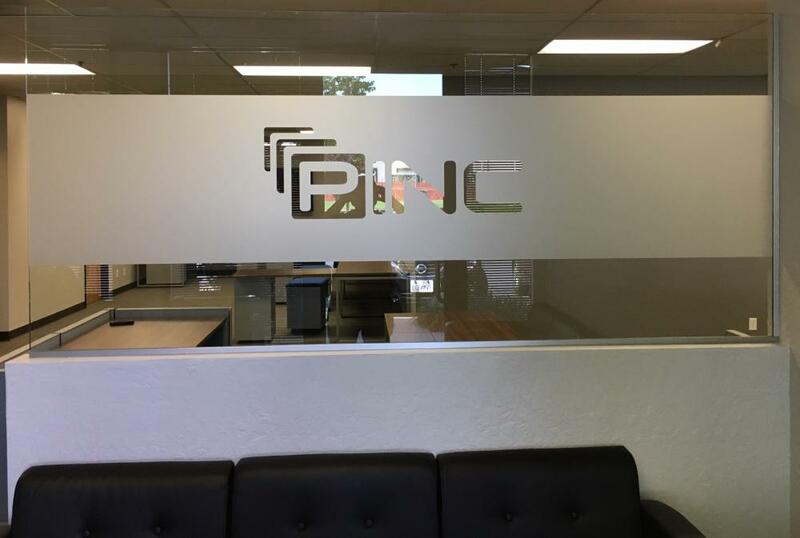 We have a couple of window vinyl options as this is the most common choice. 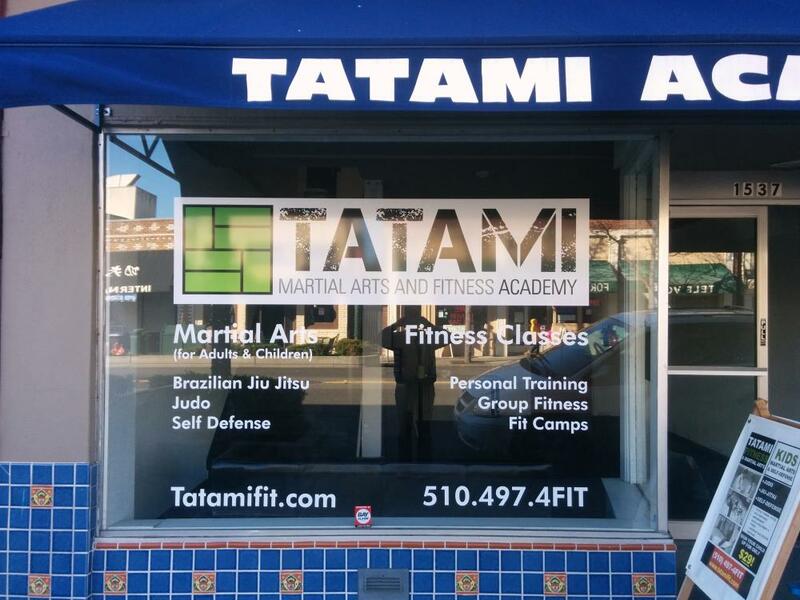 Window vinyl can be used to put your logo, store hours, or full graphics to cover the entire window. However, you cannot see through this material. This window vinyl blocks the sun from entering but allows your graphic to be super vibrant. There is a translucent vinyl option which allows light to come through partially. Another option is window perforation which is mainly used for areas that get sun exposure or to maintain a bit of privacy as well. This material has tiny holes through the entirety so that its hard to notice from a distance but upon closer investigation, you can still see out. 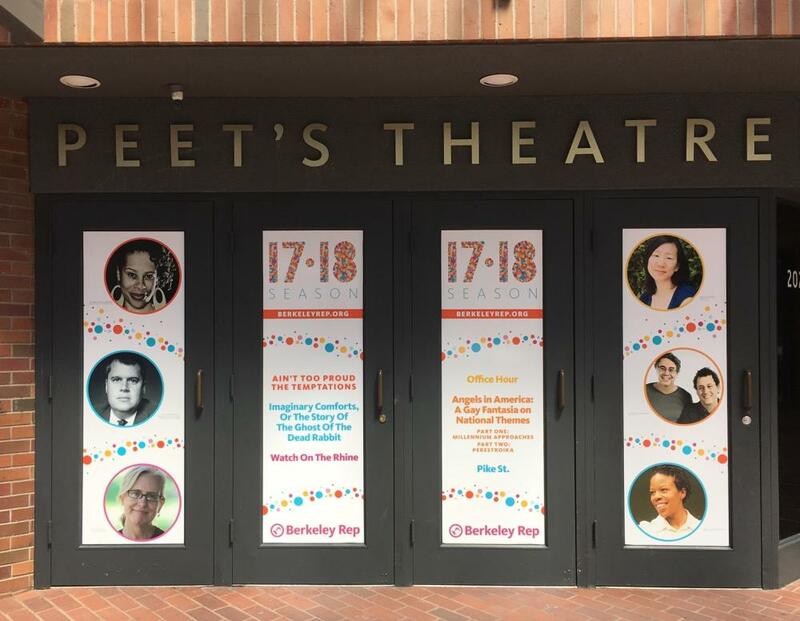 Window perforation can be seen on the side of a building or on vehicles such as a bus with large advertisements. We also use this on windows of commercial vehicles with full wraps so they can still see out. 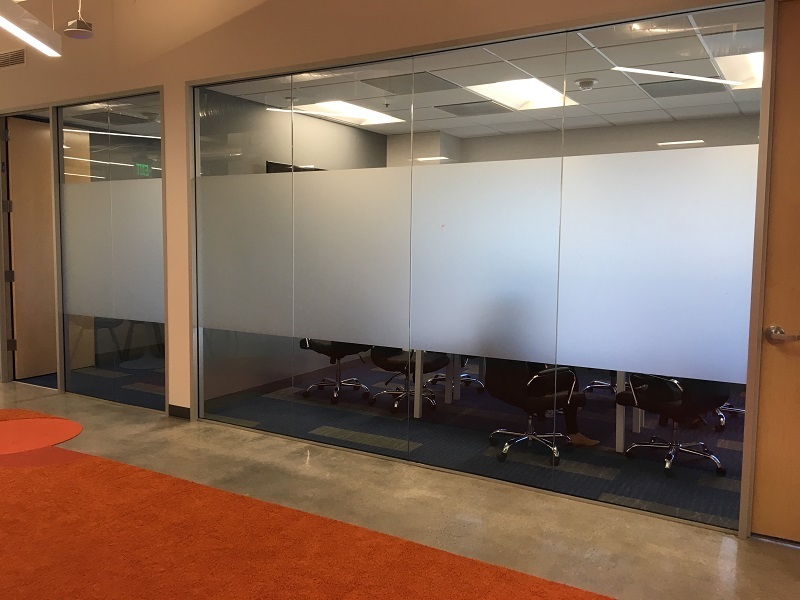 Lastly, frosted window vinyl is useful for areas that require privacy. 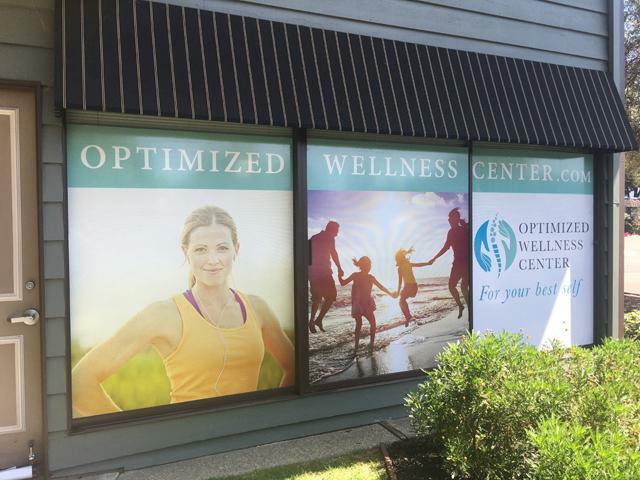 Whether you need it for an office or a storefront, these types of window graphics prevent people from peering in. 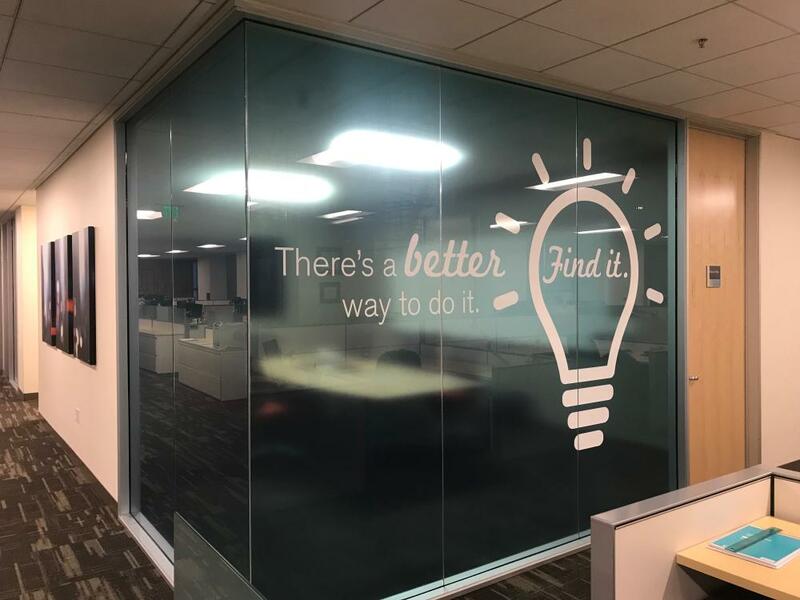 Frosted vinyl can cover the entire window or we can contour cut it. This means that we can cut your logo or other information into it to give it a classic look. 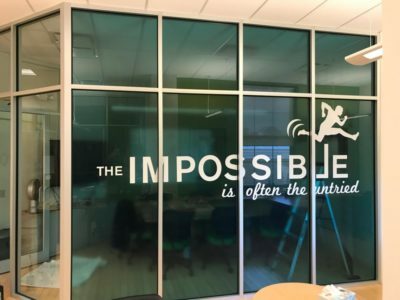 There are many different ways window graphics can be installed so here are a few things to consider before moving forward with your window graphics project. Would you like it 1st surface, which we apply outside, or 2nd surface, which we apply inside looking out? Making this decision ahead of time will be necessary for the window printing and installation process. The most standard format we use is applying it on the outside and although people worry about passerby picking at it, it’s very rare. Another thing to consider is if you’re looking for long term or short term graphics. These are questions and solutions we’ll tackle during the consultation process and ensure that your location matches the correct placement of the graphics. 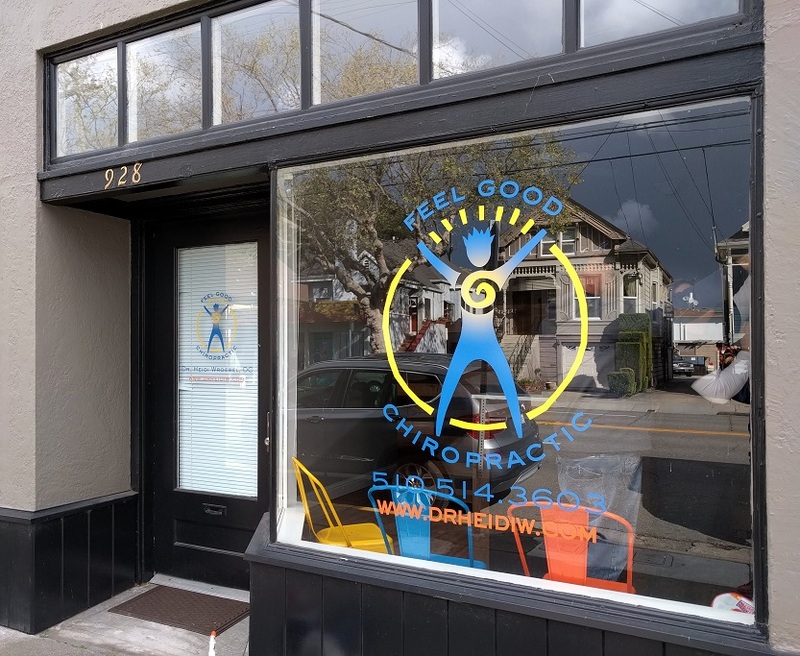 SpeedPro East Bay has printed and installed a variety of window graphics and we’re happy to help with your next project. 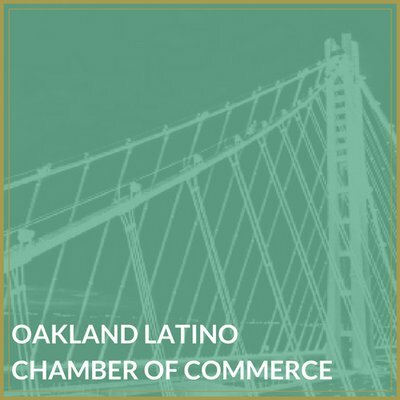 When you partner with us, we collaborate with you to make sure your needs are not only being meant but exceeded. We also help provide our knowledge and insight on every job to ensure we take the right steps from start to end. Contact us for a consultation today.